Muaythai’s inclusion as a full member in SportAccord and the work done in regards to the youth and female development, fair play, sport integrity, full compliance with the WADA code and so much more, has brought Muaythai closer to apply for IOC recognition. 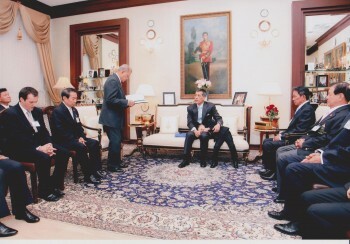 His Royal Highness the Crown Prince Maha Vajiralongkorn welcomes the representatives of all various departments. His excellency General Pichit Kullavanijaya Privy Councilor to his Majesty the King, His Excellency Sanan Kachornprasart Deputy Prime Minister, General Yuthasak Sasiprapha President of the National Olympic committee of Thailand, General Chetta Thanajaro President of WMC, Dr. Sakchye Tapsuan President of IFMA, Governor of the Sports Authority of Thailand, representatives from Sports and Cultural Minister and Stephan Fox representing international Muaythai community. 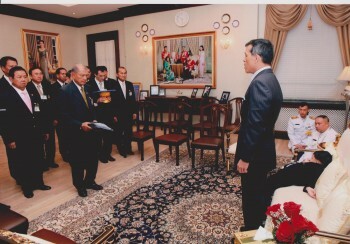 His Royal Highness thanked everyone for the support that has been given. 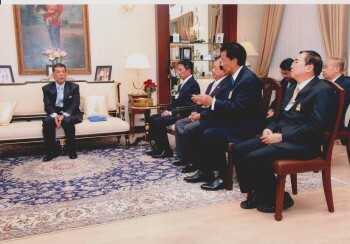 He asked for unity in order to ensure the overall development. 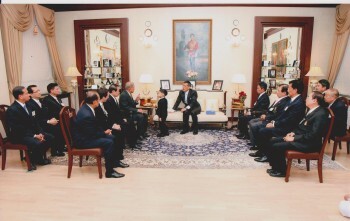 His Royal Highness also mentioned that through Muaythai, the world has come into closer contact with the history of Siam and today’s Thailand in which ancient traditions have been passed down from generation to generation. The Thais are truly proud of the worldwide popularity. 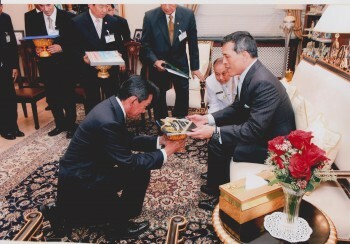 Thus, there must be a joint effort between the different Thai departments. The WMC, AMTAT and IFMA are working together so as to reach the highest recognition and the next step being the application for IOC recognition as well as the International World Games Association.